This was the last lonely card in my "My Cards" section and I nearly forgot about it. The program ends this month people, if you need to ship your cards, get in there and request them!!!! I really love these die cuts! 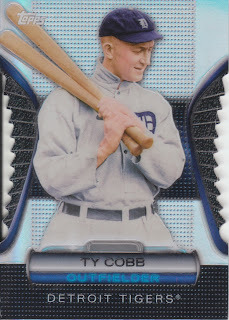 I have the Rivera, Hernandez and now the Cobb... all for trade if people are interested! Next up, a package from Baseball Dad. He is in the middle of sending an ungodly number of packages all over the blog-o-sphere and I got mine the other day! 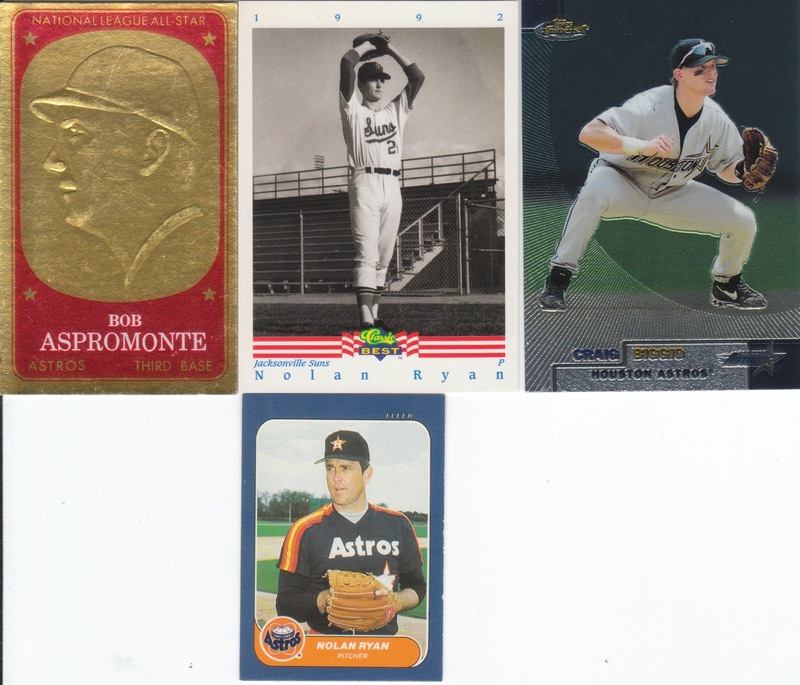 There is a long story behind the Aspromonte that you all definitely don't want to have me hash out here, but lets just say that the Baseball Dad negotiated a great deal for myself and another blogger, he's a great guy! Those are two Nolan's I'm pretty sure I didn't have, amazingly enough! And the Biggio came with that protective film, and those don't last long here at the Dimwit Abode, I want to see my shiny goodness in all its glory... and it's awesome! Thanks Jack. I've got a couple nice Tribe cards pulled for you and I'm looking to see what else I may have before a return package heads your way! Hi Sam ! I'd like the Cobb Die Cut ,I've got the Verlander. How much are they worth , I have no Idea . I'll see what I have stashed away for you ! !